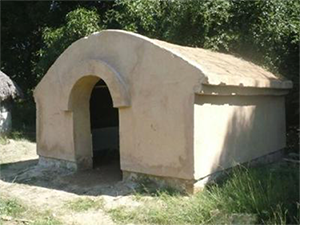 Currently present in five West African countries, AVN’s goal is to disseminate the Nubian Vault technique in all countries where it is appropriate, particularly in the Sudano-Sahelian band. AVN is regularly solicited by different actors (NGOs, training centres, political actors, etc. 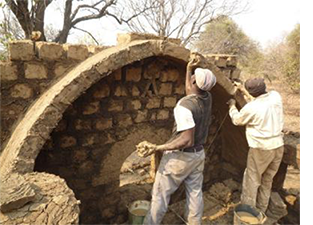 ), interested in the advantages of the Nubian Vault technique, and eager to develop this concept in their countries. AVN studies the different proposals and responds according to their relevance to the strategic goals of the Association. Chad: The Cooperative of Construction and Public Works Professionals (COOPBT) of Chad has made a formal request to AVN to act as a training operator and promoter of NV housing. A meeting was held with the Minister of Economy and Development Planning to initiate an application for accreditation of AVN as an international NGO in Chad. Exchanges were also held with organisations operating in Kenya, Morocco, Togo and Tanzania, among others. Note: isolated constructions had already been carried out in northern Togo and in central Ivory Coast. Between 2014 and 2017, AVN was instrumental in the construction of the very first village built entirely of Nubian Vaults, implemented by the NGOs Banlieues du Monde and Le Partenariat, and funded by the Dubai Charity Association. 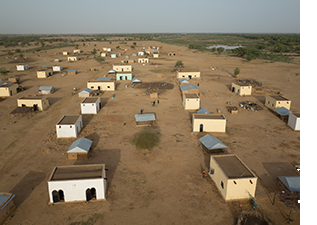 Located in Mauritania, practically on the frontier formed by the river Senegal, the Sheikh Zayed Village of Diakré is made up of 51 private houses, a mosque, a literacy centre, and a maternity clinic. The beneficiaries of the project are Mauritanian refugees who fled their country during the war. Previously, these families lived in precarious shelters, under tin roofs – which are now used to stable their livestock. In addition, in January 2012, the UJEOF (an association of Mauritanian nationals based both in France and in Mauritania) hired Burkinabe masons to carry out the first private projects in the southern region of the country (Oulombony). In Zambia, a first assessment mission was conducted in 2010 by AVN. This had revealed a situation very similar to the realities encountered in West Africa: widespread earth architecture, deforestation and interest of local populations for the VN concept. It was therefore possible to envisage a deployment in this country with the ambition to make it a stepping stone to reach other countries of Southern Africa. Subsequently, two Zambian Mason apprentices went to Burkina for training, and two missions were carried out by Burkinabé VN masons in 2010 and 2011. These missions aimed at laying the foundations of a deployment in a country far away were not conclusive enough, but allowed a significant additional experience and a better visibility on the strategies to be developed for a continuation of the actions of distant swarming. At the invitation of the association Écoles du Monde, AVN carried out an evaluation mission in 2010, financed by the Veolia Business Foundation, to validate the interest of the concept on the island and the possible opening of a programme. This mission highlighted the obligation of setting up pilot phases of advanced construction / validation. A French architect, Jean-Louis Rostaing, attempted at his home in Majunga, the first Nubian constructions and arranged the organization of the trip of a Burkinabé mason VN, Moussa Bonkian. Moussa Bonkian’s mission allowed for the construction of a NV in the highlands, but several other attempts to build in the Majunga region were unsuccessful. It seems that the local lands and the climate do not allow to use the NV concept although it would be necessary to continue these tests before concluding definitively. In Rwanda, an agro-food sector industrialist (wishing to densify the market for edible mushrooms in the country) has been interested in the NV concept for the construction of mushroom farms. The thermal and hygrometric qualities of the concept are indeed assets in this area. AVN hoped that these early constructions would serve as a local example. 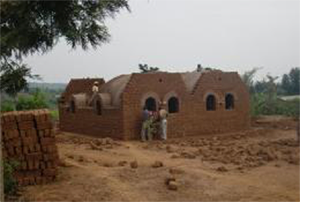 In 2011, 2 Burkinabé NV masons went to the country to start a first pilot building, but the site was disrupted by an early rainy season and the building (2NV 10 meters long) could not to be finished on time! It is not possible to draw definitive conclusions from this incident. Indeed, as long as NV buildings are not properly finished, they remain fragile to heavy rains and, on the contrary, they have a good capacity for erosion resistance once completed. A Mexican mason, Stevan de la Rosa, was trained in Burkina Faso and produced 2 first NVs in Mexico. AVN references all contacts, requests and potential partnerships submitted, in order to allow the creation of listings by country of concerned actors, able eventually to federate and pool together deployment initiatives.